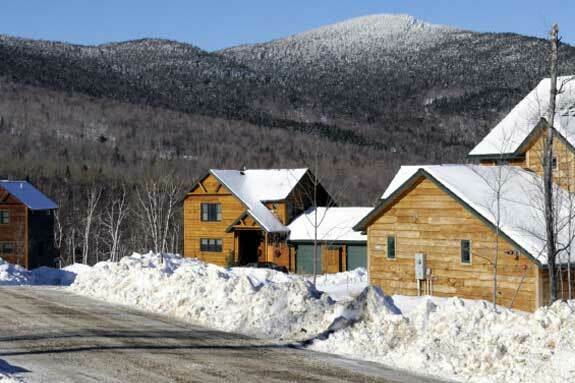 Caretakers help Maine vacation homeowners with snow removal, and other property maintenance services. After spending a memorable vacation, or maybe even two or three, in the superbly scenic state of Maine, you’ve decided to buy a home. Maine offers professional real estate agents, brokers and related businesses that help you get into that home and still more to help maintain and improve your purchase. Maine, with its large numbers of vacation and/or second homes, specializes in home caretakers. These are dedicated souls that look after your property when you’re out of town and leave the light on for you when you’re ready to return. Buying or selling a home in Maine requires the cooperation and coordination of a number of service businesses, starting with a real estate agent or broker. If you are buying a home, that means your agent will be working with the listing, or selling agent, to make sure things go smoothly. If you are the one doing the selling, the reverse is true. The steps are basically the same, and the goal for all involved is that the property legally and successfully changes hands with smiles all around. We’ll look at things from the buyer’s perspective. First is the search for a real estate agent that you like and trust. That agent will go over what type of property you are looking for and in what location. After that, it’s off to a bank or mortgage broker to pre-qualify for a loan. This gives you and your agent an idea of the price range you will be working with. Based on that qualifying amount, your agent looks for available properties and takes you to view the ones that you find interesting. If a home “speaks to you” then you make an offer, which may be accepted right away, or may result in a counter offer. Once a price has been agreed upon, it’s time to begin the contract process. Soil, water and rayon tests are done, as are termite and general home inspections. The title is checked, making sure there are no liens or other surprises. A surveyor may be called in to verify property lines, particularly in a rural environment. Then the financial and insurance details are finalized and upon closing you have your very own Maine home. Once you have your new Maine home, you might want to do a few improvements or simply incorporate your sense of style. Landscaping companies can help renew an old front and/or backyard or create a lovely outdoor space from scratch. Since Maine is so far north, a landscaper can make sure that the types of plants used can survive cold winters. USDA growing zones in Maine range from 3b in the north to 5b in the south. That means northern plants must be able to handle temperatures down to -35 degrees F, and southern plants down to -20 degrees F. Contractors can also put in a new swimming pool, add a patio or build a solarium. If your home is waterfront, you might want to build a dock or improve an existing one. A woodstove and/or a fireplace would add both warmth and charm. Perhaps you’d like a design firm to help with decorating your home inside and out. Your home is your canvas and Maine’s various contractors and home specialty services are available to help you create your perfect picture. Perhaps your Maine property is a second home and you only plan on visiting on vacations and holidays. Property maintenance companies, also known as caretakers, are available to make sure your home is looked after when you are away. One of the services they perform is snow removal. In some cities and towns, such as Portland, there are laws on the books requiring homeowners to remove snow from sidewalks within so many hours of a storm ending. If that snow isn’t removed the city will do it for you and send you a bill, along with a possible fine. Caretakers also shovel driveways and roofs. Heavy snow can actually cause a roof to collapse. In the spring, commonly called “mud season” a property maintenance service can take care of the inevitable mud puddles and pools caused by melting snow and start getting your garden in shape. Even the simple things like making sure newspapers aren’t piling up outside (in case you forgot to cancel service) or the mailbox isn’t overflowing helps to make your home seem lived in. Think about it, you arrive for the summer season, the swimming pool is clean, the boat dock is hooked up and the flowers in the garden are abloom. Wood is stacked by the fireplace and bouquets add color and scent to your living and dining rooms. Your Maine home is welcoming you, now go out and enjoy it.